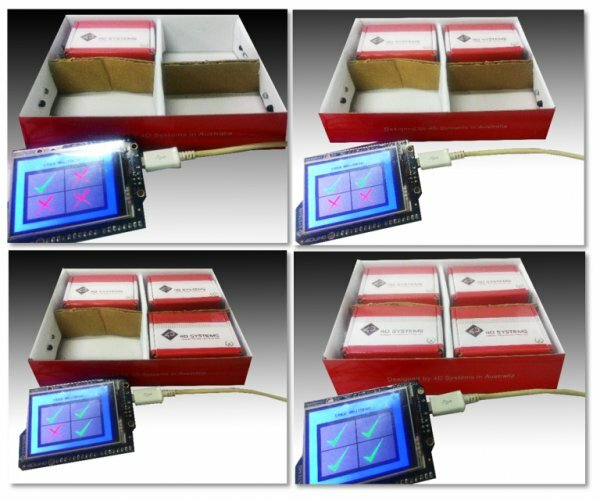 In this project, we will use several IR sensors to check if an item from an inventory box is present or not. This project makes use of a 4Duino-24 to check whether an item is present or missing from the inventory. The 4Duino uses its analog pins to read the values from each IR sensor. This reading value changes depending on whether or not the item is present. The 4Duino is set to send most recent status to a Thing Speak channel every 15 seconds. Build the circuit as shown in the following diagram and table. Workshop 4 – 4Duino Basic Graphics environment is used to program this project. 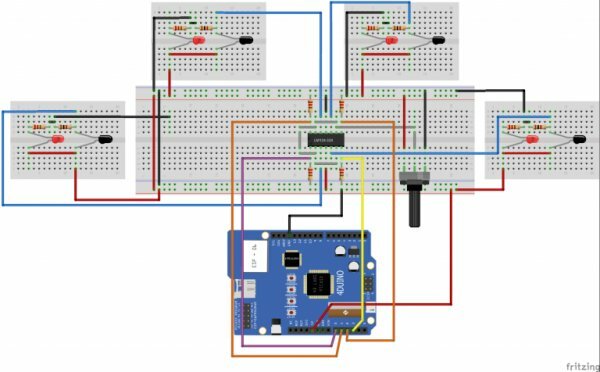 This project requires the Arduino IDE to be installed as Workshop calls the Arduino IDE for compiling the Arduino sketches. 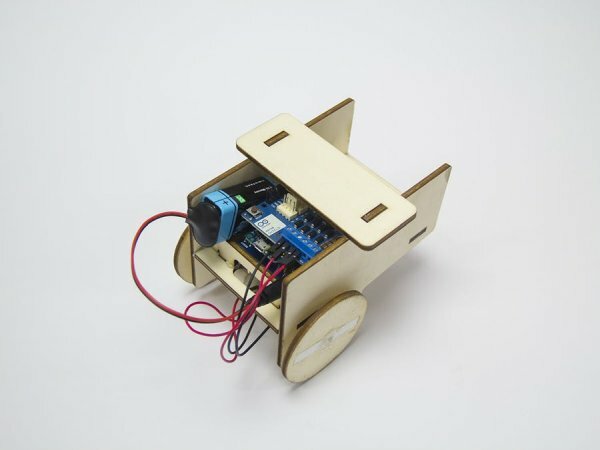 The Arduino IDE however is not required to be opened or modified to program the 4Duino. Open this file using Workshop 4. Note: Download the code here. Click on the “Compile” button. Note: This step could be skipped. However, compiling is essential for debugging purposes. Connect the 4Duino to the PC using µUSB cable. Then navigate to the Comms tab and select the Comms port to which the 4Duino connected.